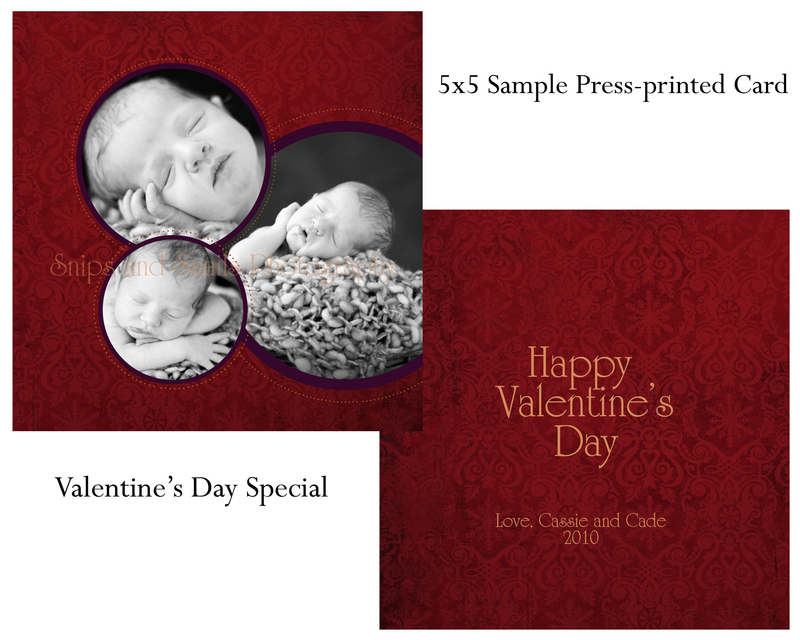 Busy gearing up for a fantastic 2010 and adding a preview of the cards that will be offered for clients of my first studio special of the year – Valentine’s Day! 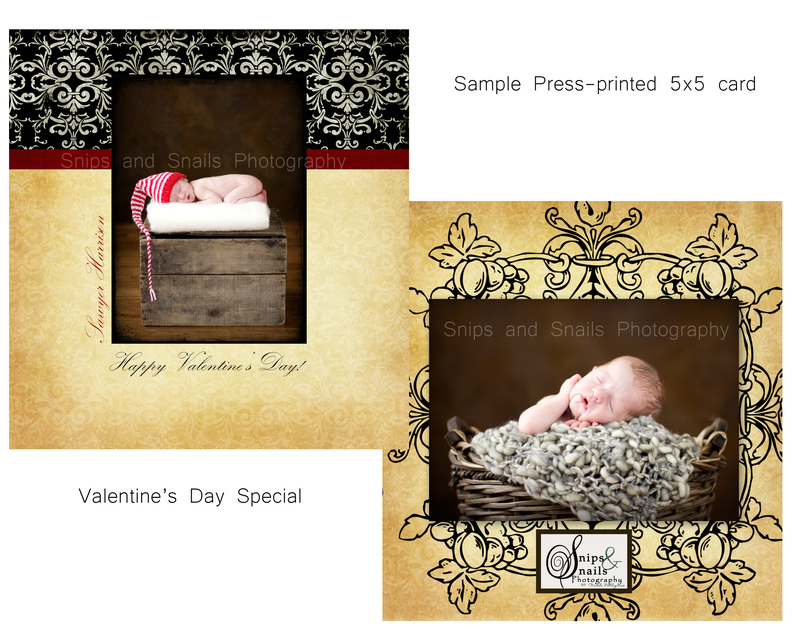 Share a special Valentine this year – one that your family and friends won’t forget – and feature your child’s adorable images on the front and back! 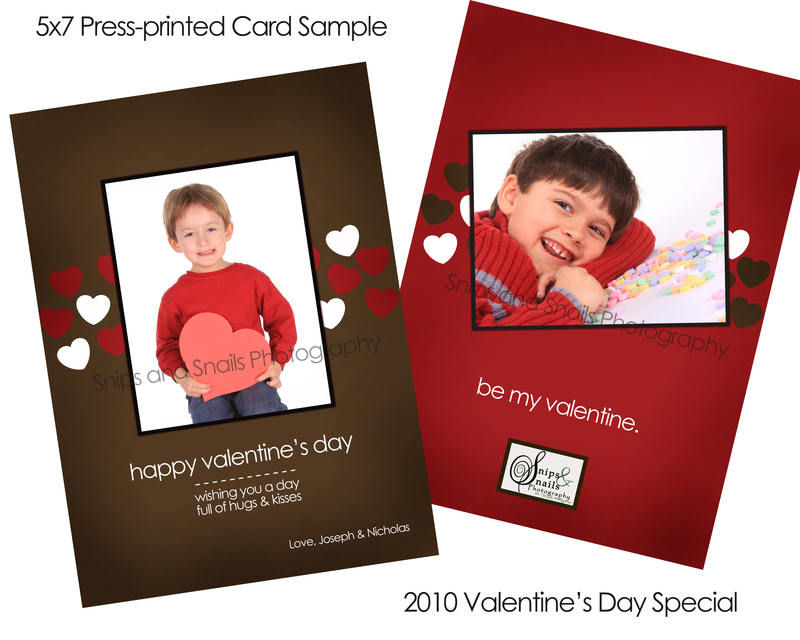 Offered in sizes 5×7 and 5×5 (as marked) and press-printed with matching parchment envelopes.